The ultimate low-profile, quick-access day bag for light carry and gear minimalists, the Everyday Sling is a redefinition of what a single-shoulder sling bag can be. As a part of the award-winning Everyday bag line, The Everyday Sling features unrivalled accessibility to your gear, expandability to match your carry needs, and organization of your gear, no matter what you're hauling. 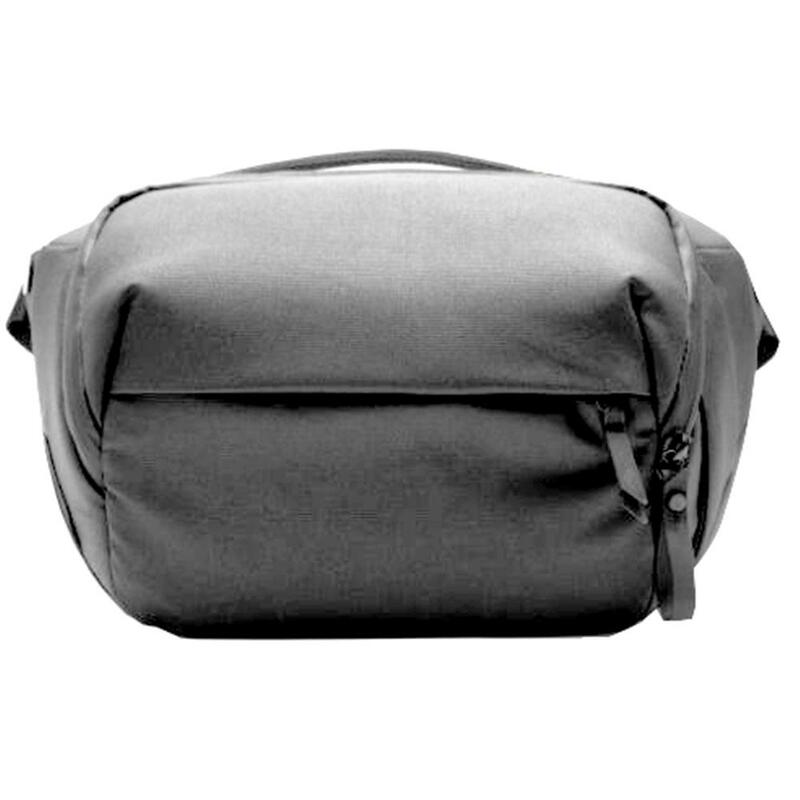 An uber-clean "no slop" design conceals a multitude of unique features, from lightning-fast strap adjusters, to a side-loading main compartment with origami-inspired FlexFold dividers, to a highly expandable outer pocket and external carry system. Plus, the sling packs flat so you can stuff it inside a larger bag when travelling. Ideal bag for beginning photographers, or pros who want to just carry their essential camera. Whether you're a beginning photographer, a pro who just needs to carry essentials, or just somebody who prefers to pack light, the Everyday Sling is the ultimate minimalist on-the-go bag. Approved for carry-on by all major airlines. Fits easily under airplane seats. A dual purpose briefcase and rolling luggage carry strap ensures you'll always have an easy way to transport the sling. The sling's strap features a quick adjuster handle that lets you loosen the strap and swivel the bag in front of you in one easy motion. An external attachment point for the Capture Clip (sold separately) lets you rigidly carry your camera on the outside of your sling for instant access. Weatherproof 500D Kodra shell with high-density padding is DWR impregnated and poly-coated twice on both sides. Premium weatherproof exterior zippers. Hypalon-reinforced and bar-tacked stress points. Soft, durable mixed-cotton twill interior for protection, durability and a luxurious feel.